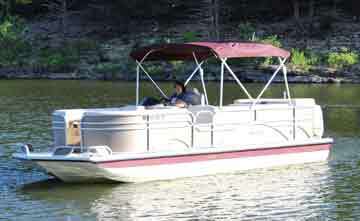 26' Deckboat $190.00 (2 hour), $330.00 (4 hour), $456.00 (8 hour). (the fastest on the lake!) It is a great way to ski, tube, or just zip across the water. 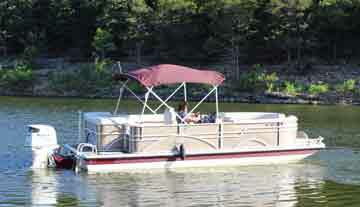 Whether it is a full day on the lake with the family or a couple hours after work with friends this boat is for you. This boat is rated for 1600 lbs. of people.